Marina del Rey luxury yacht rental in a 2004 fully loaded million dollar Ferretti luxury yacht. 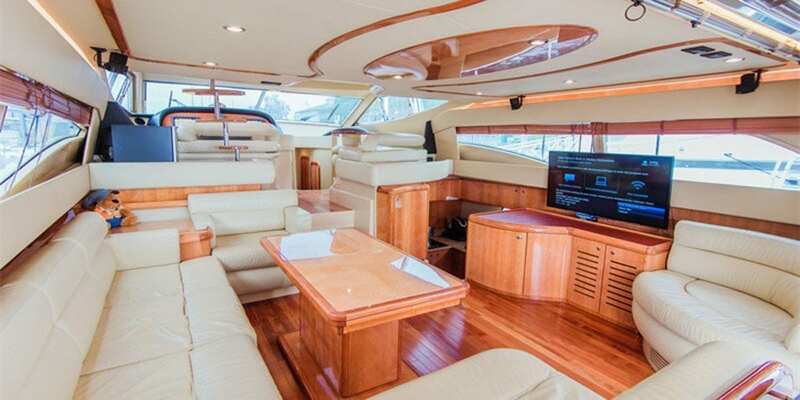 This 65′ luxury yacht is available for a yacht rental in Marina del Rey, California for up to 12 guests. 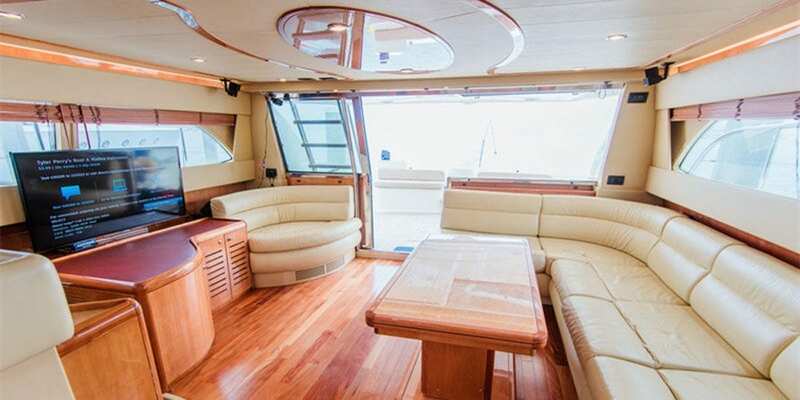 This lovely lady is perfect for a harbor or coastal cruise. Enjoy your charter within the harbor or just outside the breakwater of the Marina del Rey. Marina del Rey yacht charter rental available for a dinner cruises, harbor cruises, and yacht rentals to Catalina Island, and more. 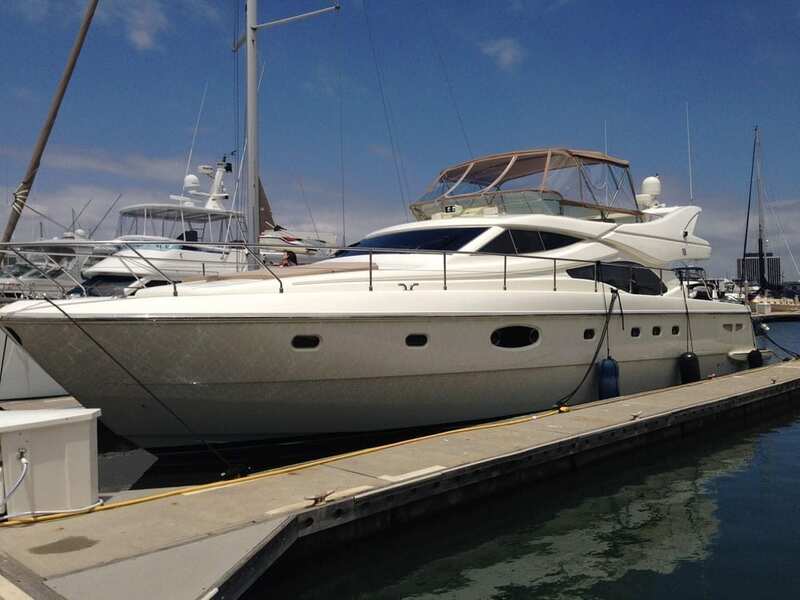 Enjoy the water on this luxury yacht along the coast of Marina Del Rey and Santa Monica. 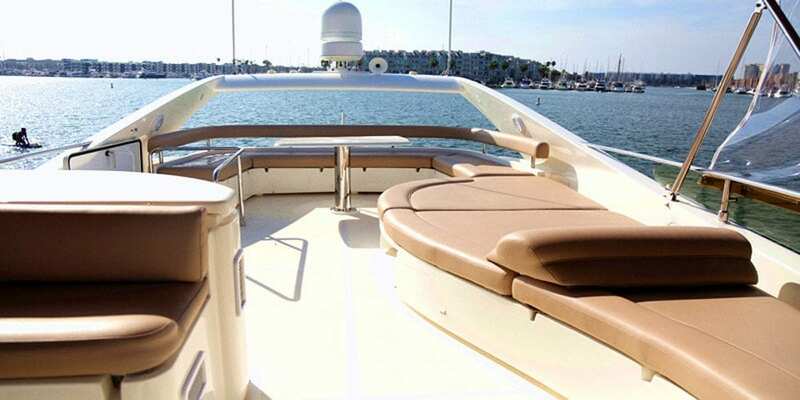 Charter the coast of Malibu or cruise down towards Palos Verdes and Newport Beach. First of all, yachting in Los Angeles is a top thing to do anywhere and especially here. Because nothing beats a yacht charter in LA. The unique subtropical climate allows for a year around boating season. It’s what makes a Marina del Rey luxury yacht rental so enjoyable. Enjoy the crystal clear tropical ocean. The beautiful harbor and marina, beaches, bay, and lagoons.  Furthermore, let Luxury Liners find your captained Marina del Rey luxury yacht charter so you may experience your own private charter in Marina del Rey. 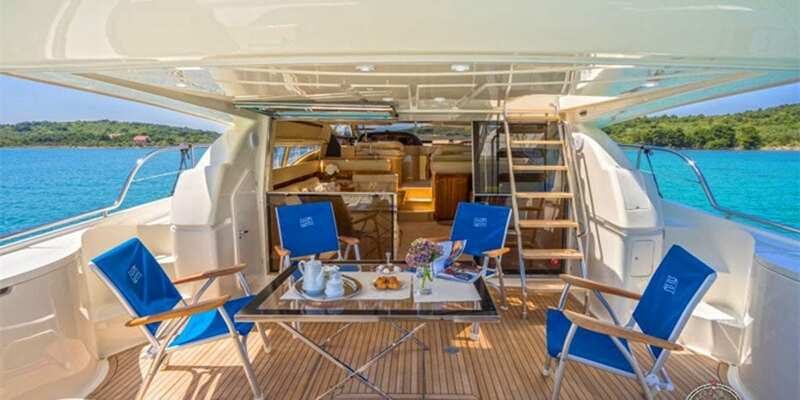 To charter a yacht in LA, or for a luxury yacht Venice Beach style, simply choose among our collection of LA yacht rentals. Luxury Liners works hard to find you the best of the best, highest quality yacht rentals in the Los Angeles area. Luxury Liners offers yacht charters in Marina del Rey at the best prices.